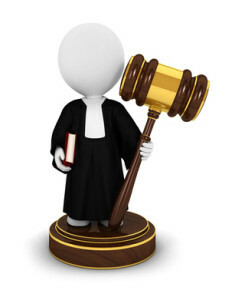 Introduction to the french foreclosure process : affidavits and preliminary judgments. The foreclosure process involves affidavits. Affidavits are named “Commandement de payer valant saisie” and consists in a document in which the court bailiff attests to a set of facts. Foreclosure affidavits typically involve the mortgage holder confirming that the foreclosure is valid specifically, and that he has a right to foreclose because the mortgagee has defaulted on the mortgage. – What exactly is a preliminary judgement ? – How affidavits work ? – How can I challenge an affidavit ? – What happens next ? Contact Maître Benjamin A. Kergueno, Attorney at Law today if you are facing or handling a foreclosure process on the French Riviera. Maître Benjamin A. Kergueno, LL.M, will provide you with a full set of informations and with the adequate counsels to sort it out efficiently. For more information or to schedule an appointment with an experienced lawyer regarding foreclosure process in France, please contact us.